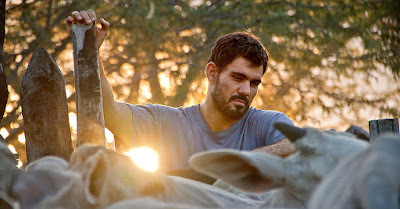 The Brazilian film "Neon Bull" by Gabriel Mascaro was the winner of the top award for Best Latin American Film of the Year at the 7th Annual Cinema Tropical Awards, which were announced this evening at a special event at The New York Times Company headquarters. The Mexican film Tempestad by Tatiana Huezo was named Best Latin American Documentary Film of the Year, while the feature film Santa Teresa and Other Stories directed by the Dominican filmmaker Nelson Carlo de los Santos was the winner of the award for Best First Film. The Cinema Tropical Award for Best U.S. Latino Film Year was for Bernardo Britto’s Jacqueline (Argentine), and the jury decided to give a Special Mention to the documentary film Los Sures by Diego Echeverría. Two Mexican filmmakers were the winners for Best Director of the Year: Arturo Ripstein won the award for Best Director of a Fiction Film for Bleak Street, while Maya Goded, was the winner of the award for Best Director of a Documentary Film for Plaza de la Soledad. The non-profit media arts organization Cinema Tropical also announced that New York audiences will have the chance to see some of the award-winning and nominated films as they will be showcased as part of the Cinema Tropical Festival to take place on Feb. 24-26 at Museum of the Moving Image. The winners of this year’s Cinema Tropical Awards were selected by a jury panel composed by Carlos Aguilar, film critic and journalist; Fábio Andrade, film critic and screenwriter; Ela Bittencourt, film critic and programmer; Eric Hynes, Associate Curator of Film, Museum of the Moving Image; Toby Lee, film scholar, NYU; Ruth Somalo, Associate Programmer, DOC NYC; Michael Gibbons, Director of Digital Platforms, Film Society of Lincoln Center; Manuel Betancourt, film critic and journalist; Cynthia López, film creative strategist and Former Commissioner, NYC Mayors Office of Media and Entertainment. All the films under consideration for this year's edition of the Cinema Tropical Awards had a minimum of 60 minutes in length and premiered between April 1, 2015 and March 31, 2016. The Cinema Tropical Awards are presented in partnership with The New York Times Company’s Latino Network, and Museum of the Moving Image, and are made possible with the support of Vilma Vale-Brennan, and the Mexican Cultural Institute of New York. Hotel Sponsor: Hôtel Americano. Wine Sponsor: Wines of Chile. Beer Sponsor: Cusqueña. Special thanks to Andrea Betanzos, Clementina Mantellini, Mara Behrens, Tatiana García-Altagracia, and Carlos Rossini. Cinema Tropical’s programs are made possible with public funds from the New York State Council on the Arts with the support of Governor Andrew Cuomo and the New York State Legislature.